BLOOMINGTON, Minn. – Dec. 5, 2018 – With the second month of the 2018-19 campaign completed, the women's Western Collegiate Hockey Association (WCHA) is proud to recognize four student-athletes as its WCHA Players of the Month, Powered by GoodWood Hockey. The honorees for November 2018 are: University of Minnesota sophomore Grace Zumwinkle (Forward), Ohio State University redshirt-junior Jincy Dunne (Defenseman), Minnesota State University freshman Abigail Levy (Goaltender) and Minnesota freshman forward Taylor Heise (Rookie). Zumwinkle, the reigning WCHA scoring champion, led the league with seven goals in November and tied for tops with 11 points, powering nationally second-ranked Minnesota to an NCAA-best 7-0-0 record. 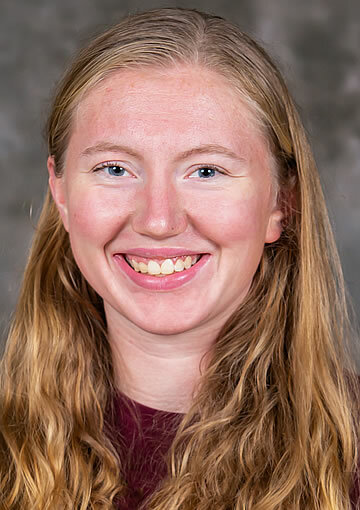 The sophomore from Excelsior, Minn. posted a plus-8 rating, while also tying for the WCHA lead with two power-play goals and one hat trick, helping the Gophers post a WCHA-best .333 power-play percentage and 5.71 goals-per-game last month. Minnesota's second-leading scorer this season opened the month with a three-point series (2g-1a) during a league sweep of Bemidji State, including the tie-breaking, third-period, game-winning goal in a 2-1 triumph Nov. 3. She then had a three-point effort, with two goals and an assist, in a sweep-clinching, 7-2 victory over St. Cloud State on Nov. 18. Zumwinkle closed the month with an epic, five-point performance Nov. 30 at Yale that earned her NCAA "Second Star" and WCHA Forward of the Week honors. 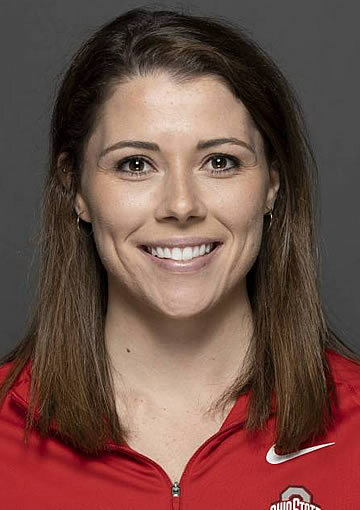 She assisted on the Gophers' first two goals, including the eventual game-winner, then turned in a second-period, natural hat trick en route to Minnesota's 7-1 victory. Nationally in November, Zumwinkle tied for third in goals, second in goals-per-game (1.00), 10th in points-per-game (1.57) and 11th in points. This is Zumwinkle's first WCHA monthly award of the 2018-19 season and her second career honor. Honorable Mention: Clair DeGeorge, So., Bemidji State (led the Beavers in scoring with seven points, tallying three goals and four assists); Emma Maltais, So. Ohio State (paced the No. 7/6 Buckeyes with nine points on three goals and six assists, while posting a plus-5 rating); Jordan McLaughlin, Sr., Minnesota State (the Mavericks' season scoring leader tallied four points in November, helping Minnesota State to its best 16-game start since the 2005-06 campaign). Dunne was once again a steadying and effective presence on both ends of the ice for Ohio State, helping the No. 7/6 Buckeyes to a 4-2-0 month. The redshirt-junior from O'Fallon, Mo. led WCHA blueliners with seven assists (second among all league skaters), seven points and 1.17 points-per-game, while adding 10 blocked shots. She also helped guide an OSU defensive unit that held opponents to just 2.00 goals-per-game, finishing the month with a plus-3 rating. The Buckeyes' co-captain tallied a point in five of her six November contests, including a pair of multi-assist outings. Dunne's first such effort of the month came Nov. 3 in a 3-2 win over St. Cloud State, as he set up a pair of goals, including the shorthanded game-winner. She also had a three-point weekend in Ohio State's sweep of then-No. 7/8 Minnesota Duluth, handing out three assists and helping hold the Bulldogs to just two goals on the weekend. Dunne's seven assists tied for the most nationally by a defenseman in November, while her 1.17 assists-per-game was the country's best mark. This is Dunne's first WCHA monthly award of the 2018-19 season and her second career honor. Honorable Mention: Emily Brown, So., Minnesota (tied for the WCHA blueliner scoring lead with seven points on a goal and six assists, while adding a plus-9 rating and helping the No. 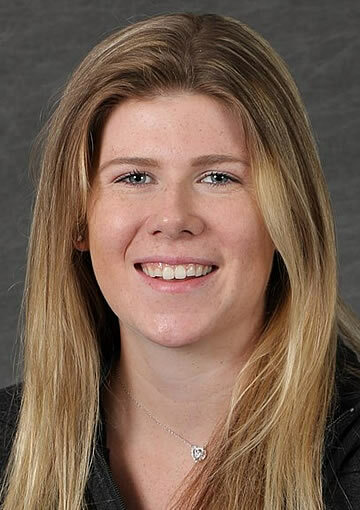 2 Gophers to a perfect 7-0-0 month); Mak Langei, So., Bemidji State (led the Beavers and tied for second in the WCHA with 19 blocked shots, while adding an assist); Mekenzie Steffen, Jr., Wisconsin (recorded five assists, five blocked shots and a plus-5 rating, helping the top-ranked Badgers to a perfect 6-0-0 month). Levy, a true freshman, continued her sensational start with her second-consecutive WCHA monthly honor. The Congers, N.Y. native backstopped Minnesota State to a 3-2-1 November, including a four-game stretch Nov. 16-24 that was part of the Mavericks' first five-game unbeaten streak (4-0-1) since 2008. Levy ranked second in the WCHA with a .949 save percentage, a 1.49 goals-against average and two shutouts, while she was third with 167 saves. The rookie had a trio of outings with more than 30 saves, including a 32-stop effort Nov. 2 against top-ranked Wisconsin (part of a 59-for-63 weekend performance against one of the country's most prolific offenses). During a four-game road unbeaten streak to end November, Levy went 3-0-1 with a 1.23 GAA, a .956 save percentage and a pair of shutouts. After opening with a 40-save performance in a 4-4 tie Nov. 16 at Robert Morris, she made 33 stops in the Mavericks' 2-1 triumph the next day (and added her first collegiate assist on the tying goal). The following weekend, Levy turned aside all 35 shots she faced at Lindenwood, leading Minnesota State to the 1-0, 2-0 weekend sweep with consecutive clean sheets. Those games marked the Mavericks' first back-to-back shutouts since Oct. 21-22, 2006 and their first road sweep since Feb. 15-16, 2014. Led by Levy's performance in net, Minnesota State is 8-6-2 and off to its best 16-game start since the 2005-06 season (9-6-1). Levy is tied for the NCAA lead with five shutouts (matching the program single-season record), while ranking third with a .956 save percentage, fifth with a 1.36 GAA and second with 474 saves (most by a freshman). Honorable Mention: Andrea Braendli, Fr., Ohio State (won four games for the second-straight month, ranking third in the WCHA with a 1.85 goals-against average for the No. 7/6 Buckeyes); Kristen Campbell, Jr., Wisconsin (recorded an NCAA-best three shutouts and posted a WCHA-best 0.65 goals-against average, leading the top-ranked Badgers to a perfect 6-0-0 month); Kerigan Dowhy, So., Bemidji State (ranked second in the WCHA with 196 saves, including a career-high 43 against No. 1 Wisconsin, while posting a .925 save percentage for the Beavers); Alex Gulstene, So., Minnesota (tied for the WCHA lead with six wins and a perfect 1.000 winning percentage, while posting a 2.15 goals-against average for the second-ranked Gophers). Heise was the best of a talented WCHA rookie crop in November, leading league rookies with six assists, eight points, 0.86 assists-per-game, 1.14 points-per-game, one game-winning goal (tied) and 50 faceoff wins. She was also second with a plus-6 rating and tied for fourth with two goals, helping nationally second-ranked Minnesota to an NCAA-best 7-0-0 month. The Lake City, Minn. native found her name on the scoresheet in five of seven November games, including a pair of multi-point efforts. After tailing an assist during a 6-3 win Nov. 2 vs. Bemidji State, Heise had a three-point series (2g-1a) during a Nov. 17-18 sweep of St. Cloud State, including scoring the overtime game-winner to end the series opener. 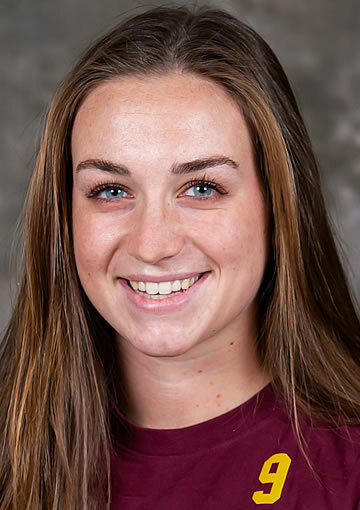 The freshman winger was named to the Windjammer Classic All-Tournament team and earned WCHA Rookie of the Week honors after matching her career high with three points (1g-2a), including a helper on the game-winning goal, in the Gophers' 6-2, championship game victory over host Vermont. Heise then added an assist in Minnesota' 7-1 road win at Yale on Nov. 30. Among her NCAA rookie peers in November, Heise tied for second in assists and assists-per-game, tied for fourth in points and points-per-game, and ranked eighth in faceoff wins. This is Heise's first career WCHA monthly award. Honorable Mention: Andrea Braendli, G, Ohio State (won four games for the second-straight month, ranking third in the WCHA with a 1.85 goals-against average for the No. 7/6 Buckeyes); Sophie Shirley, F, Wisconsin (scored a WCHA rookie-best three goals, while adding two assists and a plus-5 rating to help the top-ranked Badgers win all six games in November).